Hawksworth Hot List for Valentine’s Day – Tiffany & Co.
You may have heard of the expression don’t wear your heart on your sleeve but it’s hard not to give your heart away when your loved one presents you with a gorgeous Tiffany Lock. 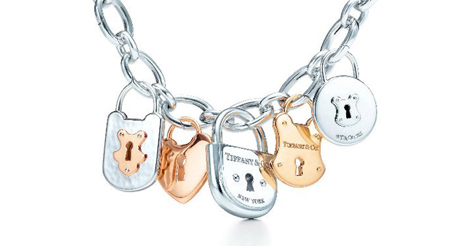 Based on Tiffany archival designs, Tiffany Locks feature detailed pendants and charms, some of which function as actual locks. The timeless pieces come in vintage, heart, half circle and round shapes fashioned in precious metals of 18 karat gold and rose gold or sterling silver. Wrapped in a signature Tiffany Blue Box, how can you not unlock your heart this Valentine’s Day?